These are super adorable! I love the idea. Your shamrock wands are adorable!! So fun and sweet for a little one or even for cute St. Patty’s decor! Cute I will have to make these with my girls! I LOVE these!!! So adorable! I found you on Thursday’s Treasures! These are really cute…I will have to try them out for my girls!!! Thanks for sharing! 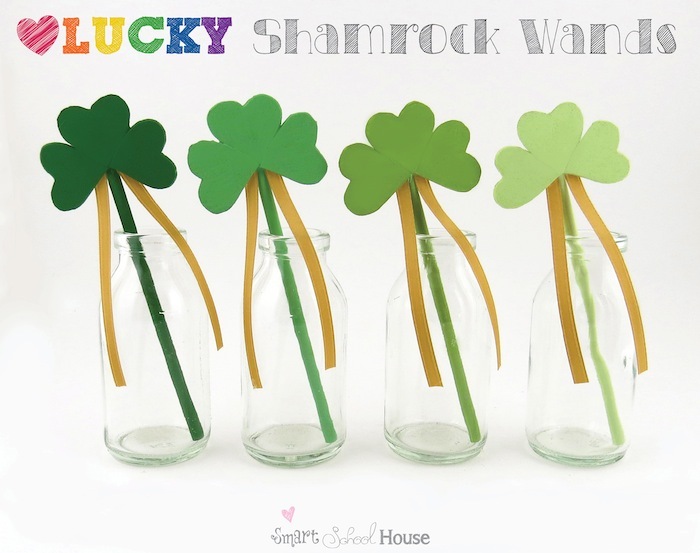 My little girls would love these shamrock wands … who doesn’t want to find a leprechaun?? Cool idea and easy too! Thanks! I think these are so cool! Thanks so much for linking them up! I am going to feature you tomorrow on my blog! Oh these are so cute! I’m a new follower from the Google+ Blog Hop over at The NY Melrose Family, and I think I’m just about in LOVE with your blog 🙂 I’m following you on Pinterest now, too.